Survival Straps is an American company with bracelets worn around the world as a fashion statement, but also has a symbol of strength and honor. 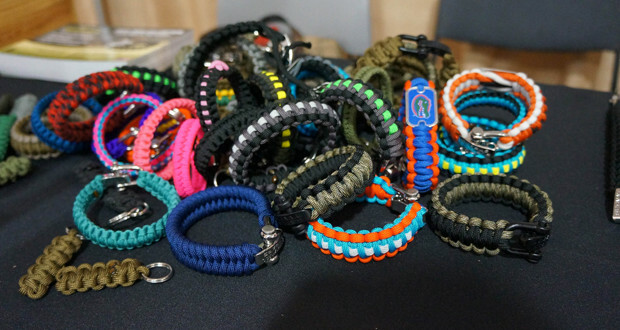 Survival Straps paracord bracelets and accessories are made from paracord. Paracord has been all over the place these days but Survival Straps is the real deal using military spec 500 paracord, unlike any other company out there. The Survival Straps paracord has a rating up to 550 lbs making it safe to use if a survival situation arises. Survival Straps are more than just bracelets with other gear and accessories including key fobs, wrist lanyards, gear tags and necklaces. They come in many colors and color combinations and are made for both men and women. What Can Survival Straps Do? 1. Made from several feet of super strong military spec paracord. 5. We have many pieces of officially licensed gear. From collegiate, to the PGA Tour®, the Wounded Warrior Project®, and many others-there is sure to be something for everyone!